Fedde le Grand is a record producer and house music DJ from Utrecht, Netherlands. He got his start in the music industry circa 2002 though his first record was released in 2004. During the early part of his career, he worked on and released a lot of singles and remixes which garnered him some attention. In 2006, he released his most famous single Put Your Hands Up 4 Detroit. The song charted in Australia, Brazil and various countries across Europe including Belgium, Finland, Hungary, Ireland, Sweden, Switzerland, Germany, Denmark, the UK and his home country, the Netherlands. A remix of the track which featured rappers Bizarre and King Gordy was released in Spain, the UK, and Germany. The song, Let Me Think About It, was released in 2007 and it became another successful track for Fedde. It was well-received by critics as well as fans, and it charted in multiple countries. The most notable of these countries was the UK, where the song reached the number 2 spot on the UK Singles chart and number 1 on the UK Dance chart. It sold more than 200,000 copies in the UK and upwards of 150,000 copies in Denmark. In 2006 he released his second official studio album titled Something Real via the Ultra Music record label. Fedde has collaborated with a wide variety of acts including Dimitri Vegas & Like Mike, Camille Jones, Sultan & Shepard, Ida Corr, Matthew Koma and Shaggy. He is also a record label owner. He co-founded Flamingo Records alongside his fellow Dutch DJs/producers Raf Jansen and Funkerman. Fedde is also a radio personality. His radio show Darklight Sessions airs every Friday via satellite radio. The show is often used as a platform to play and break songs from Flamingo Records. The Dutchman played a vital role in the careers of several electronic musicians, such as Deni Koyu, Nicky Romero, and Danny Avila. 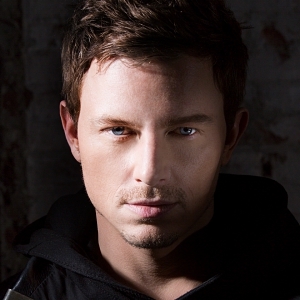 DJ Magazine has frequently placed Fedde on their list of Top 100 DJs since 2007. He peaked on the number 14 position in 2007 – the same year he released Let Me Think About It. Fedde, like many musicians, uses the macOS as his operating system. His preferred DAW is Logic Pro which he uses in conjunction with a Universal Audio interface as well as a Focusrite Forte audio interface. Fedde uses a Rode NT2-A condenser microphone to record vocals in the studio as well as voiceovers for podcasts. His mic preamp of choice is an Avalon VT-737sp. He has his own customized Mischa Jacobi speakers as well as KRK VXT8 studio monitors for checking his mixes. The Ableton Live DAW is also a part of Fedde la Grande’s setup. When he first got into music production, he owned a Roland JP-8000s, Nord Lead and a set of Roland V-Drums. What kind of headphones does Fedde le Grand use? What kind of studio monitors does Fedde le Grand use? What kind of laptop and computer does Fedde le Grand use? What kind of DJ setup does Fedde le Grand use? What kind of keyboards & synthesizers does Fedde le Grand use? What kind of music production software does Fedde le Grand use?